I wake up this morning to a text from my dear friend, Bill Lavin, and it’s made me think how lucky and blessed I really am. How gratitude has become such a wonderful place to dwell in. Rewind five years, I can’t believe how different our lives were before 12/14, we were a happy complete family anxiously awaiting Christmas. The gifts were purchased and wrapped. The holiday parties all lined up and then 12/14……….our lives forever changed… forever scarred. Life would never be the same, and it isn’t. Five years later, it’s no better by any means, but it is different by every means. Just when you think it’s at its worst, you get a sign from your loved one that you miss so much. That signs says, “Momma, I’m here with you and I love you more everyday.” You think how grateful you are to have this angel in your life, to be able to see and feel his signs. You learn that giving is way better than receiving. You’re doing the work that is no longer a job but a passion; a passion that fills your heart with God’s love and our Angel’s love to spread to all that are willing to embrace that love. Chase’s love has put together a team of remarkable people that carry his passion of triathlon. The work we do to make a difference in the lives of children and their families makes the pain of him not physically being here bearable. The joy we felt working with the Angels Army to build Chase’s playground in Normandy beach NJ will always be one of the greatest healing moments in our families lives. Through that build, we have been able to do so much more with the Angels Army and have treasured friendships. I’m am never surprised by the accomplishments of love. Love wins hands down but without a heart filled with gratitude it’s hard to see. I was so fortunate to have been touched by my Angel a few days after he received his angel wings. Chase put my soul at peace and mended my broken heart. We wish you a Christmas filled with Joy and Love. We ask that you take a moment to Remember Chase. 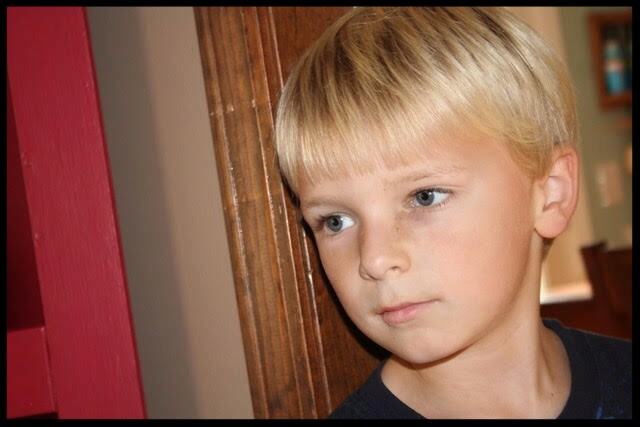 Chase Michael-Anthony Kowalski’s first seven years of life left an indelible impression on all those who were lucky enough to experience his exuberant personality. The following five years after his untimely death have left an even greater impression on those that knew him and more so those who never had the chance to meet him. The legacy Chase has left behind is nothing short of amazing for that of a seven year old. In the past 5 years, the Chase Michael-Anthony Kowalski Sandy Hook Memorial Foundation named in his honor has changed the lives of hundreds of children and families in three states. Many families have shared stories of what being a part of our program has done for their children. We have been told of the self esteem boost, the overcoming of self doubt and anxieties, the desire and determination to conquer obstacles in life to become a stronger person and to be a winner just like Chase. Many families have come back to the program year after year and want to continue on as junior coaches when they are old enough.CMAK strives to be a positive force to inspire community healing through family and children-focused initiatives and programs. By focusing on emotional healing and physical health & wellness, we will positively change the lives of children and their families. The past four years CMAK Foundation has donated $80,000.00 in pre-school scholarships to the greater Waterbury YMCA and has helped over 500 children and their families with these grants. The Race4Chase triathlon training program also started four years ago. A 6 week summer triathlon training program that culminates in a USA Triathlon sanctioned event. In the past four years this foundation has taught 290 children to swim and 269 children how to ride a bike, with a cumulative of 1500 participants in the program and close to 800 athletes participating in our community triathlon which takes place in July at Great Hollow Park in Monroe, CT.
CMAK has partnered with Bikes for kids in Essex CT to provide bikes to our triathlon program and also provide any child that completes the program a bike if they are in need. As a family, we grieve the loss of Chase daily. Not a day goes by that we don’t feel the pain of his loss but to honor who he was and all he did we choose along with the CMAK Foundation to be a driving force to help change the lives of children and families in a healthy and empowering way. Help us on this journey by getting involved, volunteer your time and talents or simply donate. We can all make a difference in life, it’s your choice to make it. The CMAK Sandy Hook Memorial Foundation is fully operated by volunteers so that all of your donation money goes directly to its programs.